…but even worse, is when you need to throw it out due to your own negligence. Not only is it heart breaking (in a weird sense, we basically formed a relationship with this brush), but it’s a complete waste of money. So today, we are going to make sure that this never happens again to you. 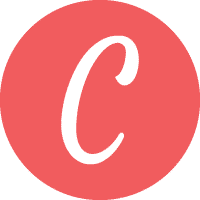 …this quick guide will be dead simple and you will be able to follow along easily at home. While we will go over how to clean up your brushes sans a paint thinner like odorless mineral spirits or turpentine, there are also some great professional grade options for thorough brush cleaning as well. What Does Paint Thinner Do? 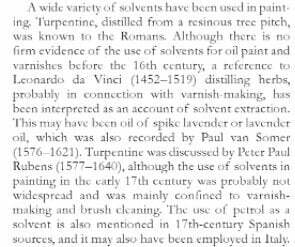 When odorless mineral spirits, turpentine, or any other similar solvent is added to an oil-based medium it will break up (i.e. dissolve) the binding agent. When a solvent like odorless mineral spirits is added, it will help to separate the pigment (color) from the oil that’s carrying it. 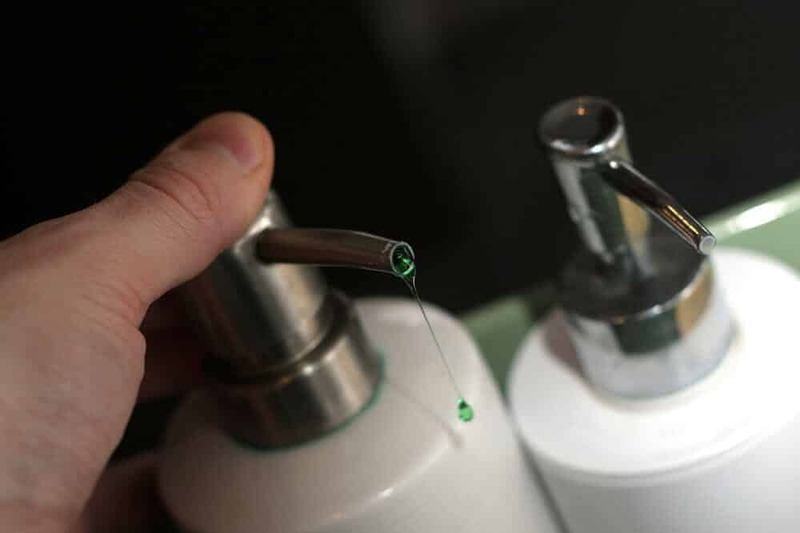 When a brush is soaked in a solvent, the pigment and oil will be able to much easier get away from the ferrule (the area where the brush bristles and metal ring meet) in order to ensure that the oil isn’t ‘gummed’ up around the base. This not only means purer colors when painting as there is no induction of leftover colors into the mix, but also will give you much better performance from the bristle of the brush itself. How does this help me right now? When going to your kitchen sink, you probably have a dishwashing detergent (i.e. Palmolive, Dawn, etc.) that will have similar (but not the same) features that solvents have when mixed with oil paint. …so what does this mean? To put this in practical terms (because it’s the only way I can understand it), is that when you cook some Brussel sprouts on cookie sheet, you likely coat them with some olive oil. When you go to clean the pan, the water will bead up into little drops (due to the oil that is coating the surface). …and this is the same effect that it has on your brushes. When you add a bit of dish soap to the bristles of the brush, they will lower the tension of the water allowing you to scrub the pigment and oil free from the bristles – giving you a clean brush in no time. …and this makes complete sense. Instead of dissolving the paint, surfactants still rely on you to scrub the brush in order to get it fully clean. So, you really have to pay attention to this area when you are going to clean your brushes. 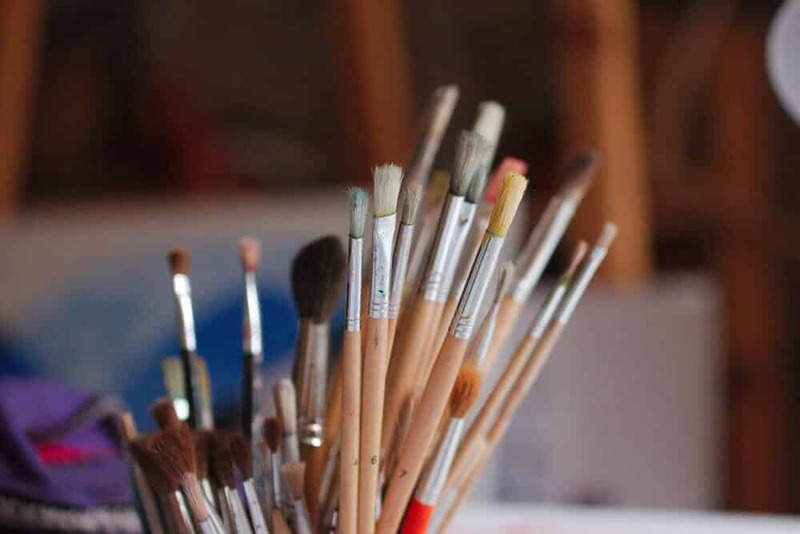 When it comes to the world of art supplies, you are at no shortage when it comes to options, and brush cleaners are no different. Two choices that come to mind, and that I see often discussed in forums like WetCanvas, is either oil of spike lavender and linseed studio soap. Both solutions are safe to go down the sink and don’t have many of the harmful side effects found in turpentine or odorless mineral spirits. Derived from the lavender plant, this oil will act in a very similar way to odorless mineral spirits, turpentine, and other solvents in that it will dissolve the oil paint when its mixed together. 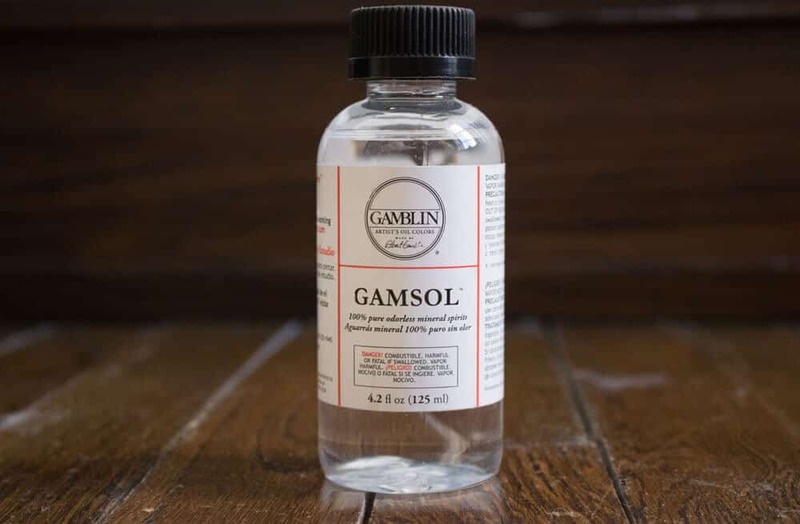 This not only makes it a great product for cleaning, but also to induce in your painting as well when you are applying thin layers, washes, underpaintings, etc. Given that it has the same properties as solvents, you can expect shorter drying times as well. Is an essential oil really as good as a true solvent? …and I had that same exact question as well! When compared to all other solvents, oil of spike lavender is much costlier to produce. 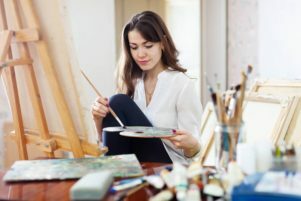 While considered much safer (and besides who doesn’t like the smell of lavender), it simply is outside of the budget for many student level artists. 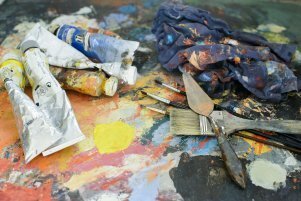 However, professionals who paint for a living may have this as a staple within their studio. If you are looking for a much more environmentally friendly option to clean your brushes, you can find it available on retailers like Blick Art Materials for about $30 a bottle. Now for a solution specifically for cleaning and not really a solvent, then you will want to look at a linseed studio soap. Containing the same (or very similar) oil found in oil based paints, linseed studio soap will have the key surfactant to clean the bristles, but will be much gentler and still a fair bit more environmentally friendly. This becomes especially important for artists who are using natural animal based fibers as opposed to synthetic bristles. Much like oil of spike lavender, linseed studio soap does tend to cost a premium, but those looking for uncompromising results will likely be happy to pay the few extra dollars if it means a clean brush that doesn’t splay or get ruined altogether when washing once they are done painting for the day.